How to screw up everything, and not screw up. Hi, everyone. 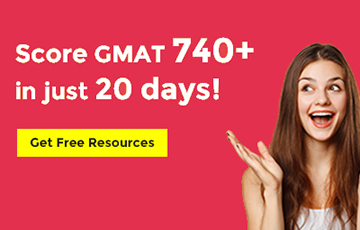 I scored a 710 on my GMAT in my third attempt and got admitted to HEC Paris, class of 2021. And the story I'm about to tell you is one of caution and vigilance. And believe me, multiple edits later, I stil comes off as heady and preachy, and I am sorry for that. A little bit about my backstory first. I'm an engineering grad from BIT, Mesra, India, and had always assumed that I was smart. I stress on the word, assumed, because I had gotten into one of the better colleges in India through a test that was used to determine the creme de la creme of the crop, and, frankly, without much effort. I cruised through college too, getting good grades while not focussing too much on actually understanding what I was studying, and relying heavily on my group-of-friends' 11th-hour revisions an hour and a half before every exam. I had known by the end of 3rd year itself, that I would not make it as a good civil engineer, incidentally a branch that I'd fallen head over heels in love with during application to my undergrad college. But one must apply oneself to actually see the tree of success bear fruit, and frankly, I had done none of that. Despite the efforts of my brilliant professors, and my core group of pals, I took my undergrad for a ride, and played along to the beat of the callous wanton drummer. Thankfully, I'd communicated my feelings of disillusionment about my engineering major to my parents, and they were supportive. They'd suggested that I could probably try CAT, and see if I got into one of the best B-schools in India through it. 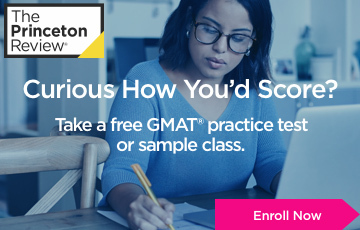 Also, I'd heard of the GMAT by then, and had downloaded their free test application and bought the review guide. 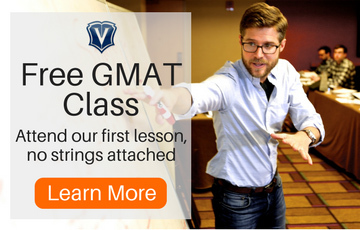 I'd first given GMAT in the heady days of 4th year, having just been placed at the company I still work at. 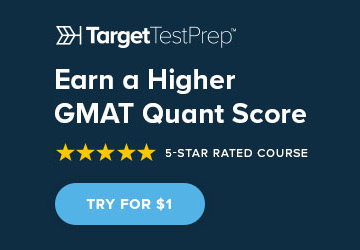 I was in full-on party mode, and I say it with great anger, but I went to give my first GMAT test in a drunken stupor, after a night of excessive partying. Vice: Delusions of grandeur, a little too much to drink, and gosh-darn arrogance. I'd fared better at the CAT, having gotten 98.86 percentile without actually studying too hard for it. But the aforementioned arrogance reared its ugly head, and I'd only applied to IIM-A, IIM-B, and IIM-C then; the best Indian colleges that this score wouldn't have allowed a call from. In my stupidity, I waved around the fact that I'd gotten a decent score despite even trying, and just went about observing the ceremonies of the final year after placement with all pomp and joy. I had sobered up before joining my current company as an analyst. Primarily, because in the time between my date of joining the company and leaving the college, I'd started preparing for CFA L1. And that was one uphill battle that I had not anticipated. Having no knowledge of finance and economics, I felt like I was thrust into the deep end of the pool, and had to frantically kick about, while I could feel my hands flailing in futility. It was definitely something that I relished as a challenge, but my ego had taken a deep hit. And since the test date would fall approximately 3 months after my date of joining, I had the feeling of getting drowned after each passing day. The pressures of trying to learn to programme, study for CFA L1 and acquire domain knowledge, they all took a toll on me. I had failed the exam even before entering the examination hall. Then, everything else took a backseat, of sorts. Having failed once, my ego was bruised, but not completely battered. I dove into my work at my job, trying every possible way I could learn a little bit more about US Healthcare, reading up articles on new sites, reports, white papers, everything. When I wasn't reading, I was trying to hone my coding skills, and get to the level of my much better-trained colleagues. 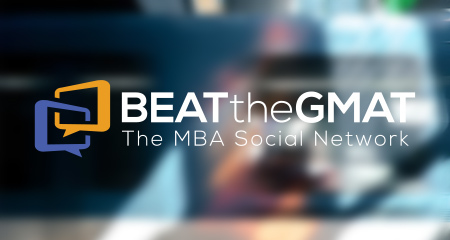 The idea of GMAT kept lingering at the back of my mind, and I decided that I'd go for it again. It was a year since I'd joined the company, I'd put in as much time into studying as I possibly could (or so, I thought), and I kept at it, engines blazing. But lady luck still seemed to have a personal vendetta of some sort. I was working on a project at my company then that entailed 16-17 hours of work every day. When I wasn't working, I was thinking about how we could maybe do something to solve the problem on the client-end. The day before I was supposed to go for the exam at 1.00 PM on a Saturday, I'd left the office at 6.00 AM on a Saturday, having put in more than 14 hours of work. Getting the little amount of sleep that I could, I proceed to the examination hall, being tired to the bone. I was better prepared, mind you, and could have possibly gotten away with a better score if I had enough rest before it, but to this day, I consider that day I'd spent at the office as something that allowed me to get into the college that I, at this moment, believe caters to my plans in the future. Obviously, I was a bit unhappy, but I knew now that despite your best preparations if the feeling just isn't right, you won't do well. 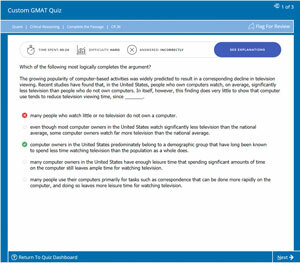 GMAT is a standardized test, it tests your ability to keep on going at the questions without faltering too much. 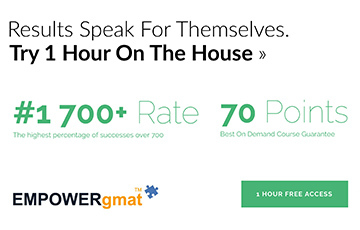 You have to be at your very best, mentally and physically, to give the GMAT and expect a decent score. I continued working at my firm, and continued to work on projects that were actual eye-openers to my uninformed mind. I realized the potential of data science, as it stands, and worked towards understanding as much as I could about it. Trump's almost-certain ascendancy to the presidential office made me want to read up all about the US Healthcare plans as they stood, and I studied up. 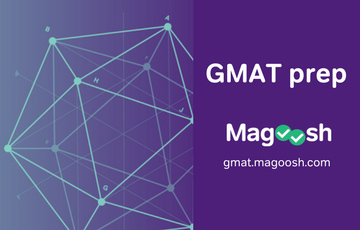 I had decided, that my third GMAT attempt would be my last, and I focused towards getting everything right this time. 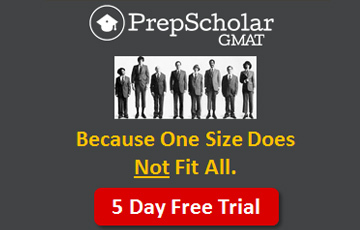 And this is when I realized what the GMAT really is. 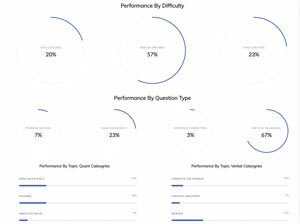 If you are confident, your profile is strong, you know what you want from the program that you apply to, and you can convince the jury in your essays and interviews why you see the college you apply to as a good fit, you will get through, irrespective of the score (obviously, getting above the median is a big help). I went back home for a vacation, and studied up. Solving all of the questions on GMAT OG Review, then solving them again on their website. I gave the two free exams on the application. I gave Veritas' free test. 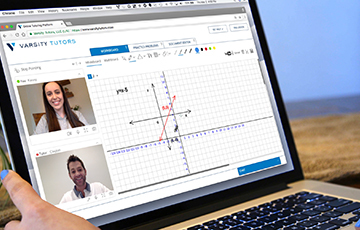 I bought a course video for the Verbal section (my Achilles' heel) on Udemy, called 'Dominate the GMAT', by Brett Etheridge, which was great. I rushed through my preparations with a purpose this time: 700+ or bust. There was another motivation as well: FIFA World Cup 2018 was coming up, and I wanted to get this over with before I partook in the beauty of the beautiful game. So, I set up my exam date to a date that wouldn't clash with when the World Cup really hit up. I took a holiday from work the day before I'd show up for the examination. I studied in the morning, getting helpful advice from friends who had fared much better than me on the do's and don'ts before the big date. I watched the Russia-Saudi Arabia match, which was a complete thriller! I played some guitar, shut out my lights, and slept off. Or so I thought. I woke up after 15 minutes of keeping my eyes shut, thinking incessantly about the possibilities and probabilities of failure. I was a complete nervous wreck. I turned to my newly acquired vice of watching droll YouTube videos about everything and nothing, trying desperately to get some shut-eye in the process, but that wasn't to be. By 5.00 AM, I was reading up WikiHow articles on how one could not fall asleep for an extended period of time, and thinking about where I could buy cold coffee cans and Red Bull from when I left at 8.00 AM in the morning for my 9.00 AM appointment. On the journey to the exam center in my Ola cab, I had a can of cold coffee I'd bought. 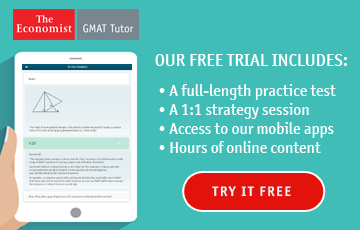 It soothed my nerves, and I started solving questions on the GMAT Prep app. Getting them right was a good last minute confidence-booster, and something that I'd recommend that you not do. If I would have gotten them wrong, I'd have been a desolate SOB. Keeping the coffee and Red Bull in my locker, I proceeded to the exam hall. Now, Verbal is my biggest weakness. Despite trying time and again to get everything right, I'd always mess something or the other up. 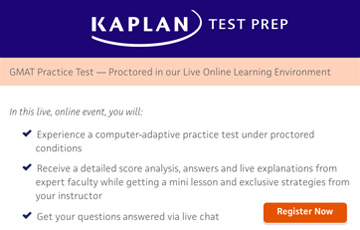 Thankfully, GMAT gives the option to attempt sections in the order of your liking, and I wanted to get done with Verbal first off. During my practice runs at the new format, I'd always stuck with the conventional order, and this change was a good decision that I took on test-day itself. Foolish bravado, maybe, but I knew that Math was my strong point, and I wanted to dedicate as much attention as I possibly could to my kryptonite. Verbal section over, I had my first Red Bull. And 3 glasses of water. I seemed to be fighting a losing battle with sleepiness and fatigue. Math section was over 20 minutes before time. I knew I'd done well there. I had my second Red Bull, my can of coffee, and a chewing gum before spitting it out and entering the test room again. LR and AWA were easy, comparatively. Being from a data science background, LR was a cake-walk. AWA was fun, because I love to write. And then, I got the score. Vice: Tiredness, Procrastination borne out of fear. Virtue: Much better preparation, realizing why I wanted to do an MBA in the first place, choosing the right school(s).